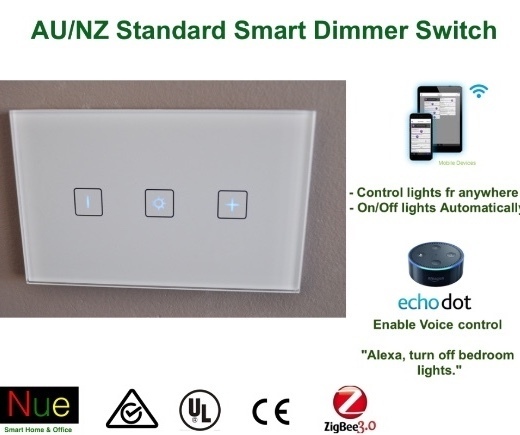 TThis is a ZigBee intelligent wall switch. It can connect to the ordinary incandescent, halogen and dimmable LED lights. With Nue ZigBee Bridge, the users can control these switches via App Nue Home on smartphone and tablet anywhere you have internet connection. Also, you can manually click the switches buttons to control the switches and voice control through Amazon Echo. Support status feedback. Nue ZigBee Bridge gets the power status in real time. ZigBee HA protocol supports automatic networking. Can be used in home, office, hospital, hotel and other occasions.